The character also appears in numerous radio serials and comic books based on the stories. 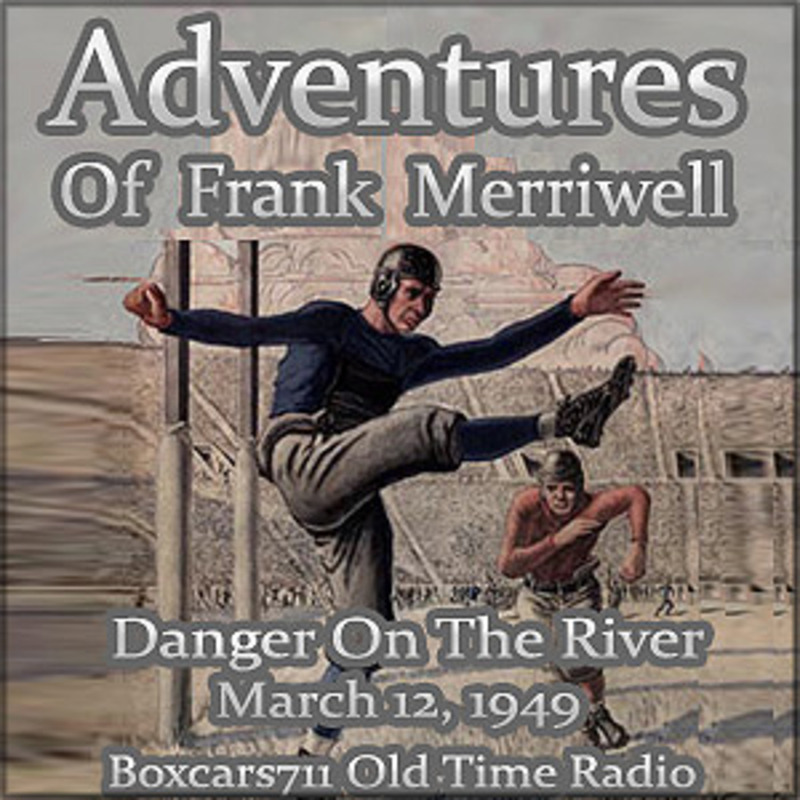 The model for all later American juvenile sports fiction, Merriwell excelled at football, baseball, basketball, crew and track at Yale while solving mysteries and righting wrongs. He played with great strength and received traumatic blows without injury. A biographical entry on Patten noted dryly that Frank Merriwell "had little in common with his creator or his readers." Patten offered some background on his character: "The name was symbolic of the chief characteristics I desired my hero to have. Frank for frankness, merry for a happy disposition, well for health and abounding vitality." Merriwell's classmates observed, "He never drinks. That's how he keeps himself in such fine condition all the time. He will not smoke, either, and he takes his exercise regularly. He is really a remarkable freshie." THIS EPISODE: March 12, 1949. NBC network. "Danger On The River". Sustaining. Two boys fall into an icy river and are trapped on a rock in the middle of the rapids. Frank and Bart to the rescue. Lawson Zerbe, Hal Studer, Elaine Rost, Harlow Wilcox (announcer), Burt L. Standish (creator). 30:54. Episode Notes From The Radio Gold Index. 3722 episodes available. A new episode about every 5 hours averaging 29 mins duration .